Convenient location on major street (LaPalma). Large easy access private parking lot. Our patients respond quickly to our treatment. Serving the Anaheim community since 1985. 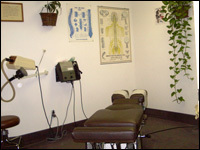 Team Chiropractors for Katella H.S., and Anaheim H.S.